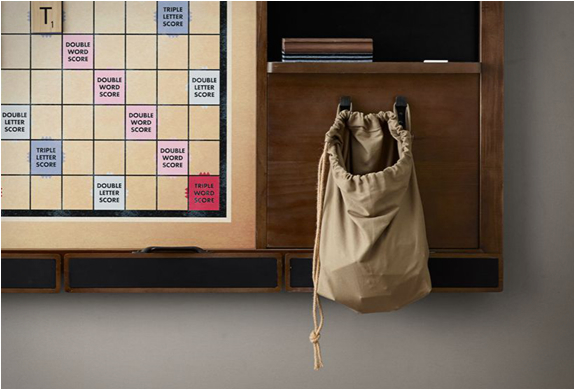 New on Restoration Hardware, and part of their vintage game collection, is this beautifully crafted and original Wall Scrabble version. 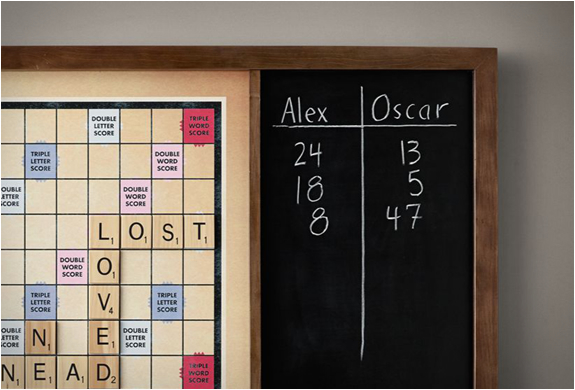 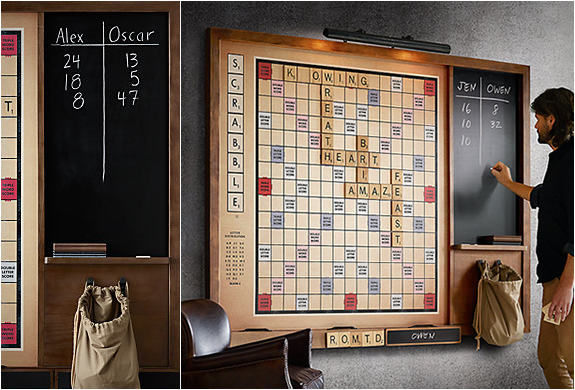 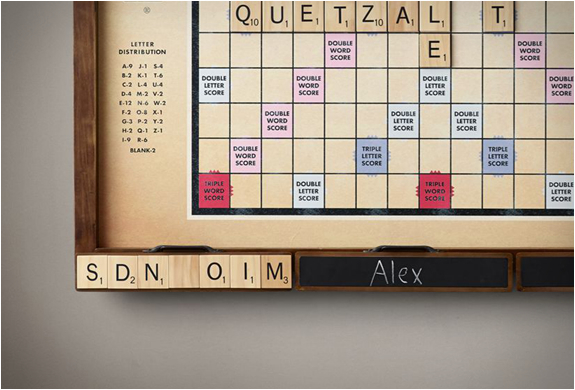 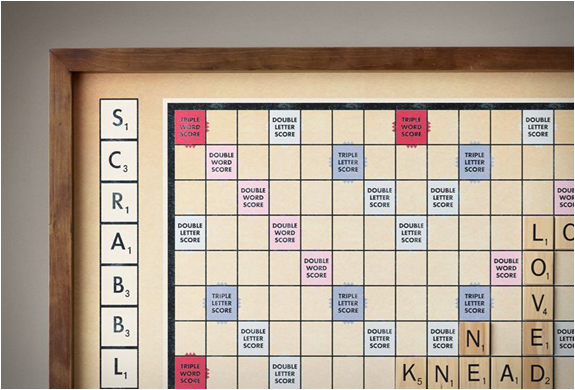 The dramatically oversized wall-mounted Scrabble game increases the fun factor exponentially, keeping everyones favorite word game always in play. 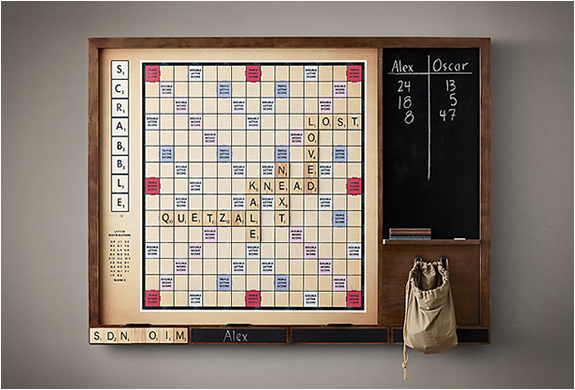 Crafted from solid wood, the board features graphics based on the original 1949 edition, magnetic letter tiles, a fabric bag for the letter tiles, and a built-in chalkboard to keep track of the score.